So, I just went searching for the image dimensions for a Google business page cover image. And I already know from past experience that the more recent the better for the date of the image recommendations. 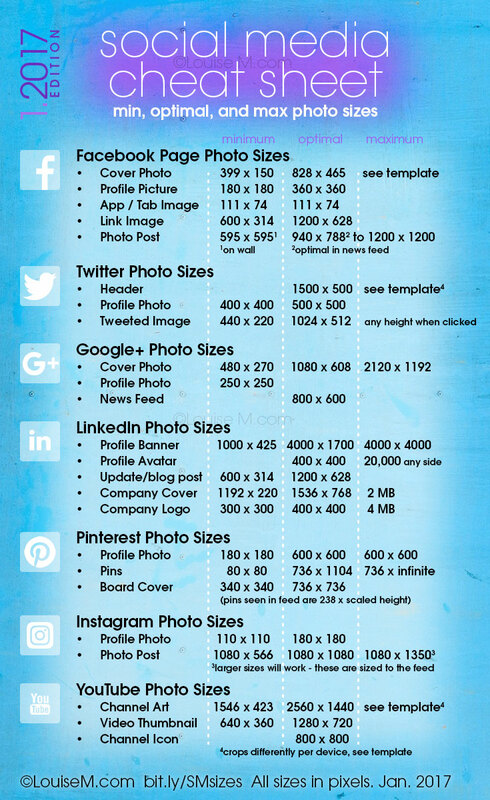 Because change is inevitable, especially when it comes to social media channel image dimensions. The exciting news is that I found a social media cheat sheet created on January 10th, 2017! I just may be posting here even more for my own handy reference, but I hope you get a lot of use out of it too. We may be able to depend on all these numbers for at least a month – until one of these companies decide on an improved layout.